1) Boil water and cook the ramen according to the instructions on the package except without adding the flavor packet. When done, strain out the water and set aside. 2) Cook scrambled eggs in a skillet and set aside in a bowl when done. 3) Put just a little bit of oil in a large skillet and toss in the pork belly to cook. 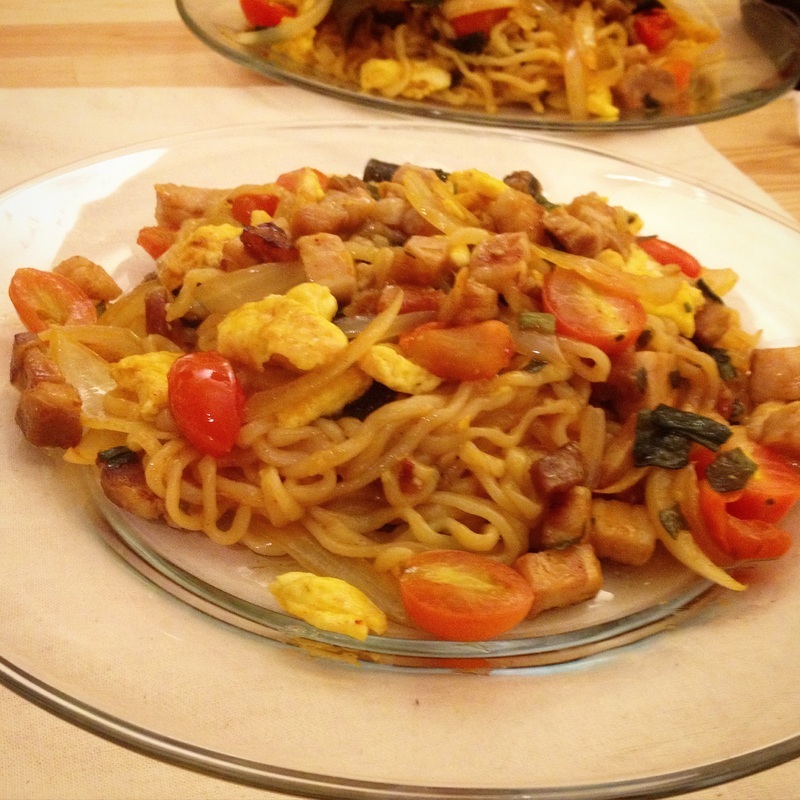 4) When the pork belly is near done, toss in the onions, grape tomatoes, eggs and ramen. 5) Add the ramen flavoring to the skillet and mix until everything is thoroughly combined then serve!